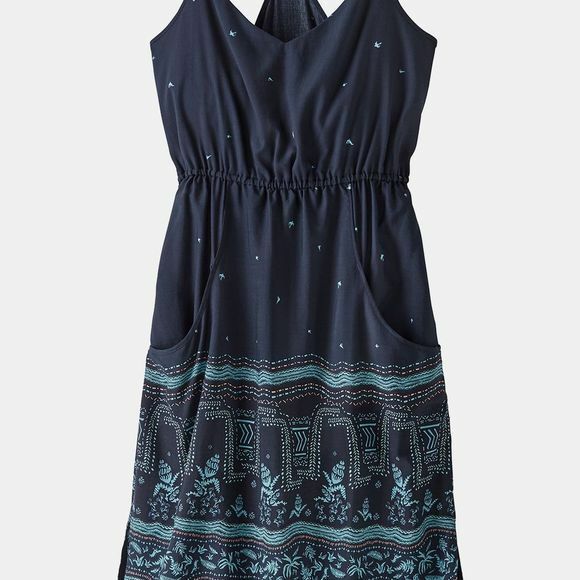 The Womens Lost Wildflower Dress from Patagonia is made with summer-weight, TENCEL lyocell fabric which is more absorbent than cotton, softer than silk and cooler than linen. Adjustable straps, floating racer back and elasticized waist allow for a custom fit. Simple V-neck; straight hem with high slit. Knee length.